Give Gisele Bundchen points for sticking up for her husband, Patriots QB Tom Brady. Wide receiver Deion Branch and tight end Aaron Hernandez dropped passes on New England’s final drive while the normally reliable Wes Welker was visible upset over his crucial drop late in the fourth quarter. The Pats first offensive play could not have went worse as Tom Brady was called for intentional grounding while in the end zone, a penalty that cost the Pats two points. And the safety had big ramifications. Without it, the Giants would have been trailing by 17-13 on their final drive. Instead, the Giants were down 17-15, and needed only a field goal to go ahead. If you have read any of my previous writes, you know I am a fan of the New England Patriots and have been for many, many years. So, this is a big weekend for me. For the last 2 weeks, I have not watched any coverage of the game at all. No sports media talking heads. I have avoided Twitter. I have kept my Facebook time to a minimum. I just did not want to hear all the haters hating. It’s just what happens when a team like the Patriots is in the big game. The haters are many and the only way to further a story is to make the Patriots the underdog, make Tom Brady struggling, talk ad nauseum about Gronkowski’s ankle injury. But in reality it doesn’t matter. 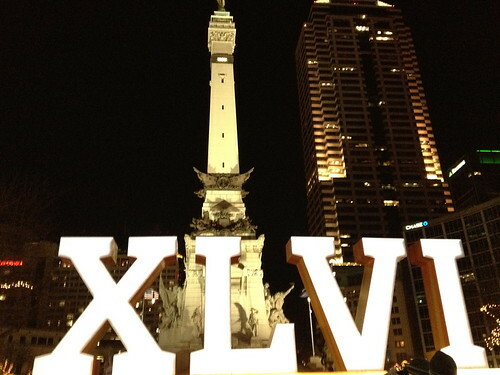 Which team will leave Indianapolis as Super Bowl XLVI champion? The Inside the NFL gang gives its picks, plus some friendly advice for Cris Collinsworth before the big game. There was a welcome sight on the practice field on Thursday as New England tight end Rob Gronkowski participated on a limited basis for the first time since suffering a sprained left ankle during the AFC Championship Game. In the build up to this weekend’s Super Bowl between the New York Giants and the New England Patriots we have been talking to several Giants and Pats writers about the game. 1) Super Bowl 46 is obviously a rematch of Super Bowl 42. What memories do you have from that game? In the build up to this weekends Super Bowl between the New York Giants and the New England Patriots we have been talking to several Giants and Pats writers about the game. First up is Matt Goisman of Sports of Boston. Q: Super Bowl 46 is obviously a rematch of Super Bowl 42. What memories do you have from that game? I remember thinking the Patriots would win 42 right up until the final touchdown. It happened so fast – the ridiculous catch by Tyree, the TD on the very next play. Then all I remember is a profound sadness. Every year you see cities around the country clamoring the NFL to get the rights to host a future Super Bowl. Teams have been known to build new stadiums based upon the promise of being the home for the game’s feature event. This Sunday Indianapolis will be the city which get’s to lose money on the game. Yes, you heard correct. Most cities lose money on the Super Bowl. Indy is already expecting a loss of at least $810,000. The Capital Improvement Board of Marion County, home of Lucas Oil Stadium, has budgeted for expenses at $8 million and revenue of nearly $7.2 million. They call it the “game within a game.” Sunday’s Super Bowl matchup will be intriguing for the many storylines that will develop during the encounter. The Giants and Patriots may be the most evenly matched teams we have had play in the Super Bowl in years, possibly ever. Look at the facets being highlighted currently. The Giants defensive line getting pressure on Tom Brady with only four rushers. Eli Manning throwing against the Pats suspect secondary. The coaching philosophy for the game between Tom Coughlin and Bill Belichick.